Rudius Wines There are the types of vintners you can’t help but admire who have come to the wine industry solely on their own accord. They do not come from wine making families where you have the support structure should you want to get into the wine industry. In this case it is Jeff Ames, the founder of Rudius. Jeff is originally from Alabama and was on the fast track to become a lawyer – coming from a family of lawyers. Eventually after deciding law was not for him, he started working in a wine shop which was his first real exposure to wine at the time. As we have seen time and time again on this project, regardless of your background, when the wine industry gets in your blood it may become a life long passion. Jeff sent a number of resumes to wineries on the west coast and secured his first job at an Oregon winery. He later moved to the Napa Valley and gained invaluable experience working at Napa wineries including Freemark Abbey, Flora Springs, Duckhorn and Outpost (where he worked with Grenache – more about this in a bit). After working for a number of vintners, Jeff decided to create his own wine commercially and today he also is consulting winemaker for several clients. Such was his passion to get into the wine making business he sold his home to fund the initial project. Jeff is a perfectionist when it comes to quality. His wine making approach is minimalist, taking more of a hands off approach by doing whole cluster fermentation, foot treading, and using natural yeast with no fining or filtration. In addition, his wines are racked as minimally as possibly, leaving the fruit to remain in contact with the lees and not exposing it to unneeded oxygen. While his wines often stay in the barrel for significant time, his type of aging program ensures the wines are not over oaked. The Rudius wines often see extended bottle aging which is not a bad thing for the consumer! With small production lots (sometimes just a barrel or two), all hand crafted, this is a boutique Napa winery at its best. Rudius wines reflect a sense of place and in other words are true to the vineyard site, the varietal and the conditions of that particular vintage. The name Rudius has interesting origins – it was the name of the wooden sword that was presented to a gladiator when he was freed by the emperor of Rome. The sword was wood and symbolized that the gladiator was done fighting and was now a free man. Jeff has already worked for a number of Napa wineries as indicated, and his winery is appropriately named as it represents the freedom to make wine in his own style. 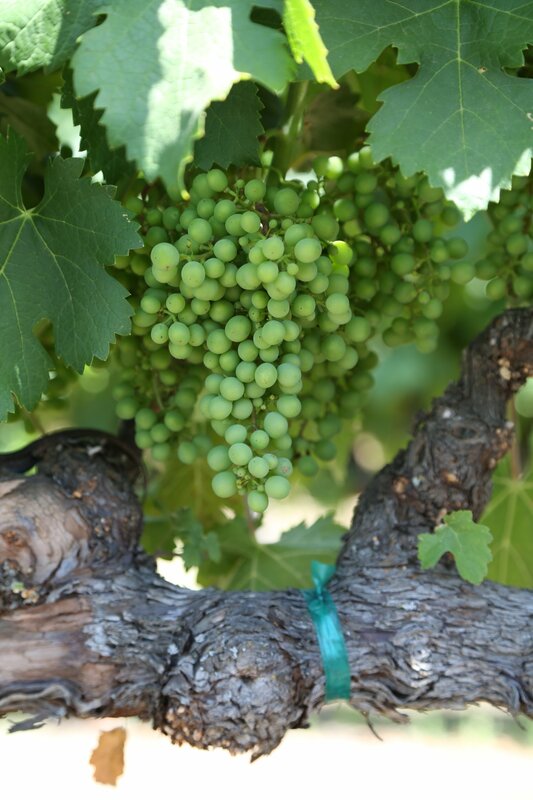 The focus of Rudius wines are site specific vineyards for Syrah and Grenache. In addition, they make a nice fruit forward Napa Cabernet (we tried the 2006 vintage from barrel) and have plans to make a Napa Chardonnay. We had a chance to taste a number of Jeff’s wines including verticals of Syrah and Grenache both from barrel and bottle. We spotlight the current releases here. The 2005 Russian River Syrah was fermented entirely with wild yeast including the secondary malo-lactic fermentation. As a result it took several months to finish the fermentation and to reach dryness; it was pressed into the barrel where it actually finished fermentation. This is a dark purple wine that is well structured and definitely well balanced. The one thing that stands out in this wine is decidedly the fruit; layered flavors of blackberry and blueberry burst onto the palate with underlying nuances of chocolate and spicy clove. There is just a kiss of vanilla on the pleasing finish. The 2006 Emerald Pool Vineyard Syrah from Mendocino County is a huge rich voluptuous wine both on the bouquet as well as on the palate. Its juicy but not jammy. There is a nice herbal quality you may pick up in the nose and some earthiness but in reality this wine is all about the fruit! Rudius also produces a vineyard block designate Syrah from Alder Springs (Mendocino County) and later vintages of this see small amounts of viognier which help enhance the aromatics of the wine. 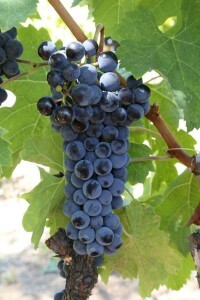 This wine like the Grenache is pressed sweet to barrel where it finishes its fermentation. 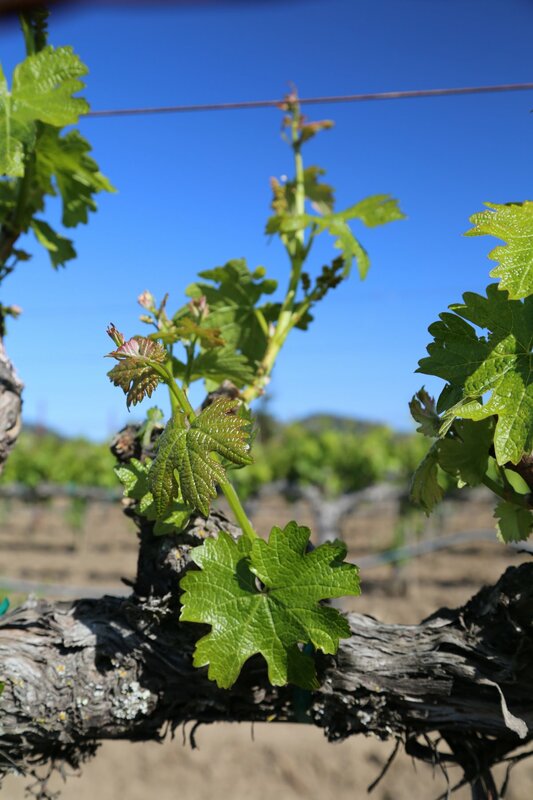 We love the aromatics and mouth feel of the Grenache varietal in general and in our tasting of many Napa wines, it is not often we get to enjoy this wine. There are very few vineyards of Grenache located within Napa and as a result, Napa vintners who make this usually source fruit from other areas of California. Such is the case of Rudius where they get the fruit from the Russian River area in neighboring Sonoma County as well as in Mendocino County (north of Napa). Alas, only 75 cases of this wine are available. Definitely decant this wine before serving. Jeff told us that Grenache tends to darken in the barrel and this wine is not too dark, more of a ruby red color. The 2005 Russian River Grenache has very floral almost perfume driven aromatics – violets combined with notes of sweet red fruit (raspberries). The palate has earthy notes and white pepper anchored by raspberry and cherry flavors. The finish is warm and slightly spicy. Rudius wines are enhanced with decanting and often improve over the course of several days after being opened.